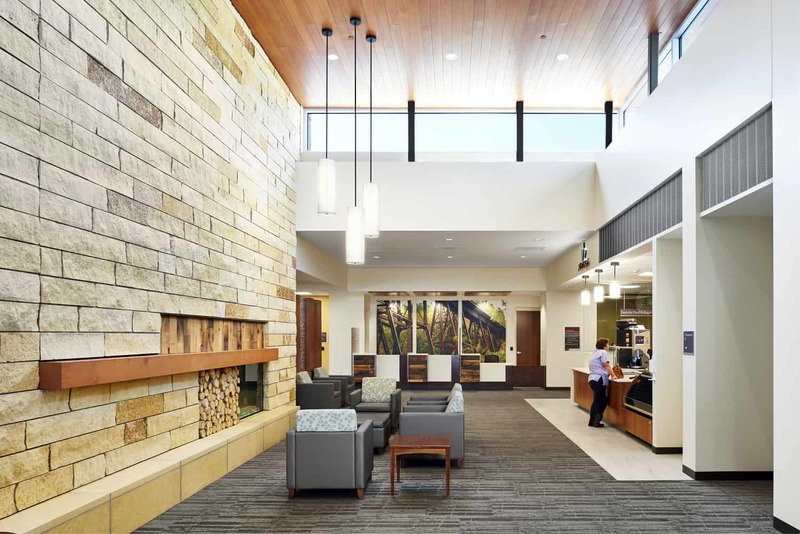 The North Pine Area Hospital District originally formed to provide fast, easy, and accessible health care that can be truly life-saving in rural communities. 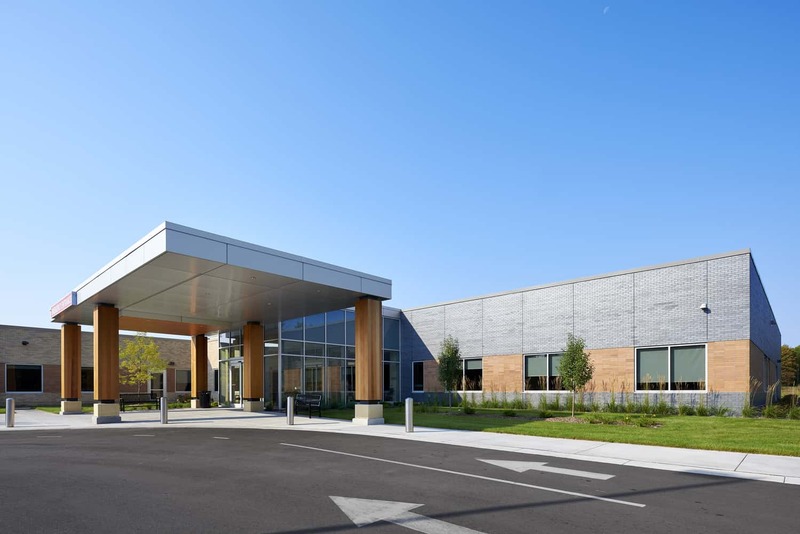 To support its mission and keep its services up to date, the hospital district and BWBR led space programming and site selection studies to determine a location that would be best suited to serve the community with a flexible platform for decades into the future. 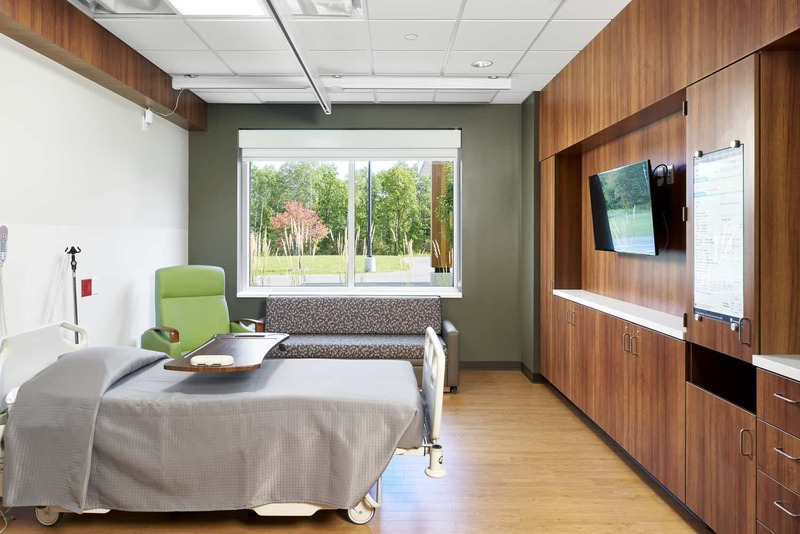 Following the studies, the hospital district implemented a replacement eight-bed Critical Access Hospital in partnership with Essentia Health and Gateway Clinics, designed to easily add beds to accommodate future growth. 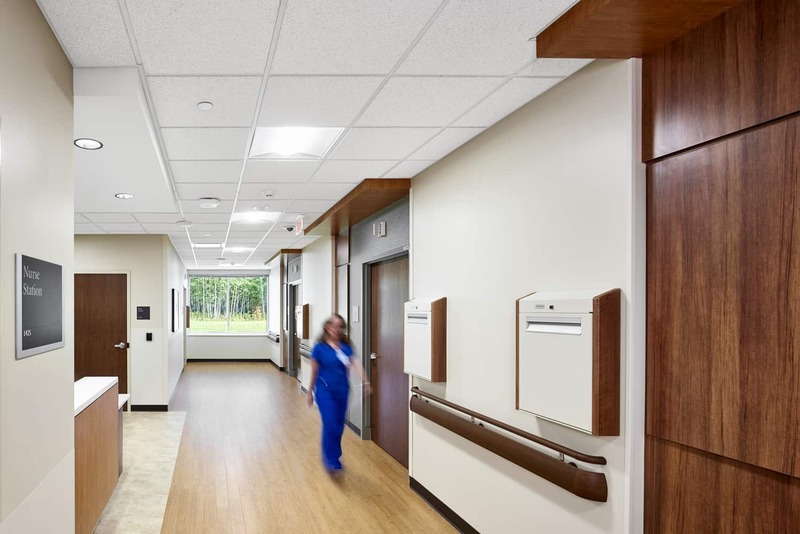 The first phase of the new Pine Healthcare campus provides an Acute Stroke Ready Hospital, and conveniently places the hospital, clinic, emergency department, therapy center, and pharmacy under one roof. 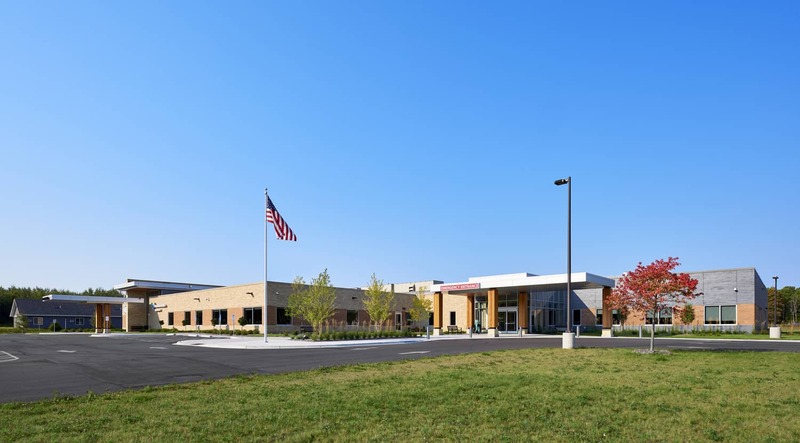 Sited on 40 acres that were once home to the Sandstone Airport, the campus is highly visible and easy to access from a nearby interstate. 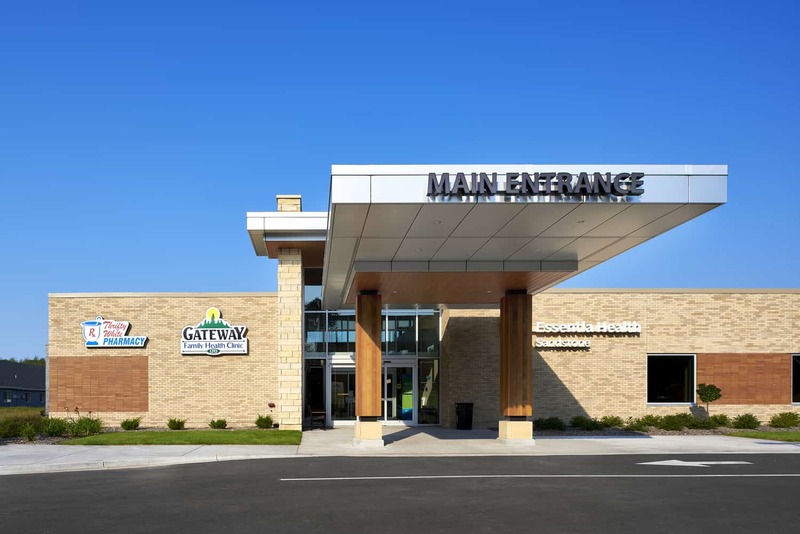 Community convenience was incorporated into the entire design, including ambulance service for the entire Pine County, an emergency helipad, and drive-thru retail pharmacy. 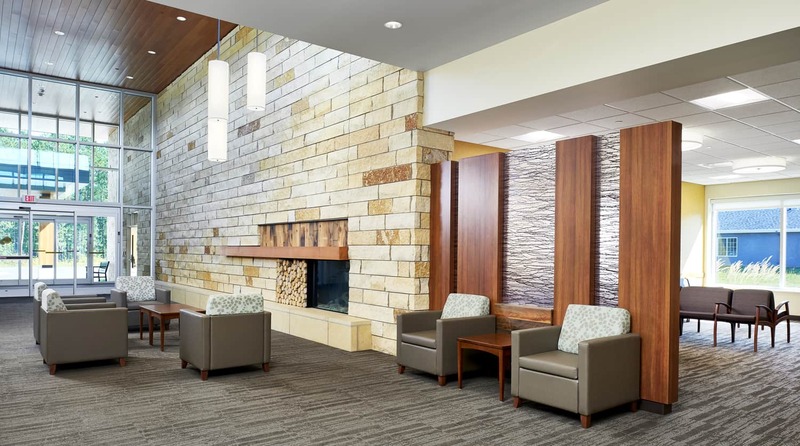 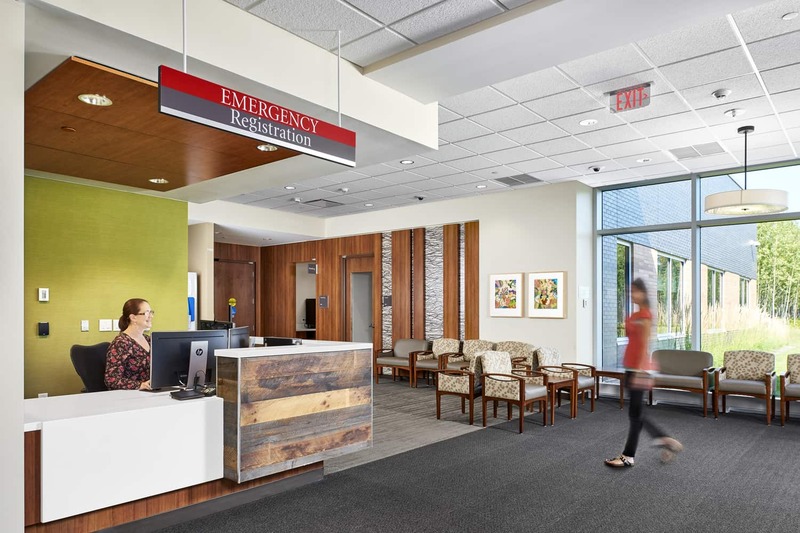 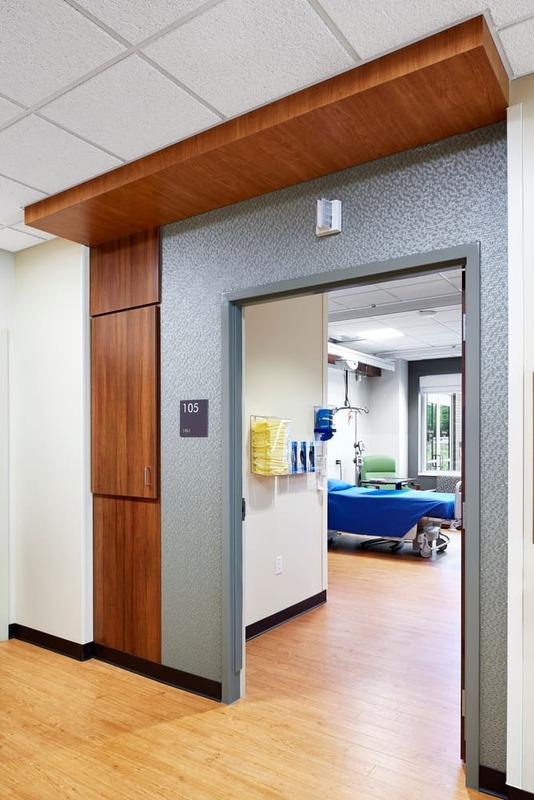 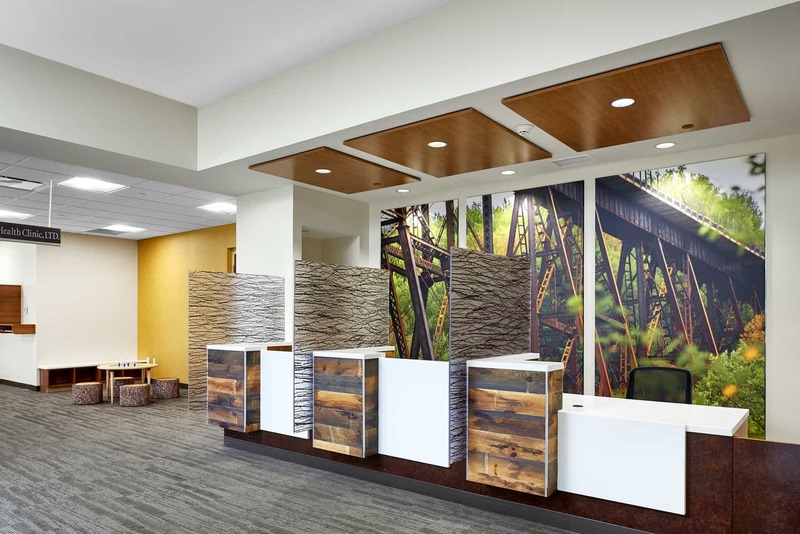 Eye-catching wood, stone, wall coverings, and artwork welcome patients and families into a healing environment that reflects the familiarity and comfort found in their homes and local resources.